Who is Benjamin Keough (Lisa Marie Presley’s Son), What Does He Do For a Living? Benjamin Keough comes from a family which is deeply rooted in show business. He is the grandson and look-alike of the iconic rock and roll musician, Elvis Presley. Interestingly, Benjamin, who is an intending actor, is most popular as a member of the Presley family than for his acting gigs. His mother, Lisa Marie Presley Keough is also a musician who is well known for her musical talents. He hasn’t really done much of acting as records show that he has only been on a movie-like documentary about his family titled Elvis by the Presleys and on the short film Rod & Barry. His grandfather, Elvis, and mother, Lisa Marie, are not the only popular members of the family. His grandmother, Priscilla Presley, was a renowned actress and so is his sister, Riley Keough. For Benjamin, he hasn’t made it known what career path he wants to thread yet, whether he would follow in his legendary grandfather’s footsteps in music or that of his grandmother into films – or maybe something entirely outside the box. Who is Benjamin Keough (Lisa Marie Presley’s Son)? He was born Benjamin Keough on the 22nd of October 1992 in Tampa, Florida. He is the youngest of Lisa Marie Presley and Danny Keough’s children. Benjamin has an elder sister Riley, who is currently thriving as a Hollywood actress. He also has twin half-sisters – Harper Vivienne Ann and Finley Aaron Love – from his mother’s third marriage. Nothing is on the record about the educational background of the young Benjamin Keough. He supposedly grew up in Florida, however, this is not known for certain. He has always been in the spotlight, right from his birth which comes as no surprise when one considers the fact that he hails from the famous Presley family which is known for their involvements with show business. Benjamin Keough’s maternal grandfather was Elvis Presley, the greatly adored American musician of the 1950s. He has been said to be the most significant cultural musician of the 20th century. Among his numerous achievements, notable is the fact that even after his death he remains the best solo artist, with an estimate of over 600 million album sales. Interestingly, Benjamin has a striking resemblance to his grandfather. He has Elvis Presley’s pout, blue eyes, and facial resemblance. If Benjamin were to tint his dark brown hair to black, he might just be said be to be his grandfather’s reincarnate. Asides his grandfather’s fame, Benjamin Keough’s maternal grandmother, Priscilla Presley, is also famous in her own rights. She was popular for her amazing acting skills and was best known for her role in Naked Guns as Jane Spencer. Priscilla is currently a business magnate who is making a name for herself in the cosmetics industry. His mother, Lisa Marie Presley, is also as famous – just like her father. She is a songwriter and musician who made her debut appearance in 2003 and has remained in the music scene ever since. She has released three albums throughout her musical career. Asides her career, the mother of four is also famous for her marriages as she has been married to four men (three of the four were celebrities); all of which ended up in a divorce. Her first husband was Danny Keough (who is the father of Benjamin and his older sister, Riley Keough) before she got married to the legendary Michael Jackson. She also tied the knot with popular actor Nicholas Cage and Michael Lockwood, a guitarist with whom she had twin girls. With so much attention by the media on his family, Benjamin has become a socialite, loved by paparazzi. He is often seen on red carpet events with his mother, sister, and grandmother. It isn’t really certain what Benjamin does for a living. He has featured in two films, although he is not popular or famous for either. He appeared as himself in a documentary about famous people titled Elvis by the Presleys in 2005 and in a short film Rod & Barry. These two features wouldn’t have earned him much as he only played a minor role in his second film and has not been seen on the movie screens since then. However, what Benjamin Keough is popular for is being a Presley. His striking resemblance to his grandfather, Elvis Presley, has put him in the spotlight and on the headlines of news tabloids. He is also known for being the son of a popular pop musician, Lisa Marie Presley and the grandson of the iconic actress, Priscilla Presley. 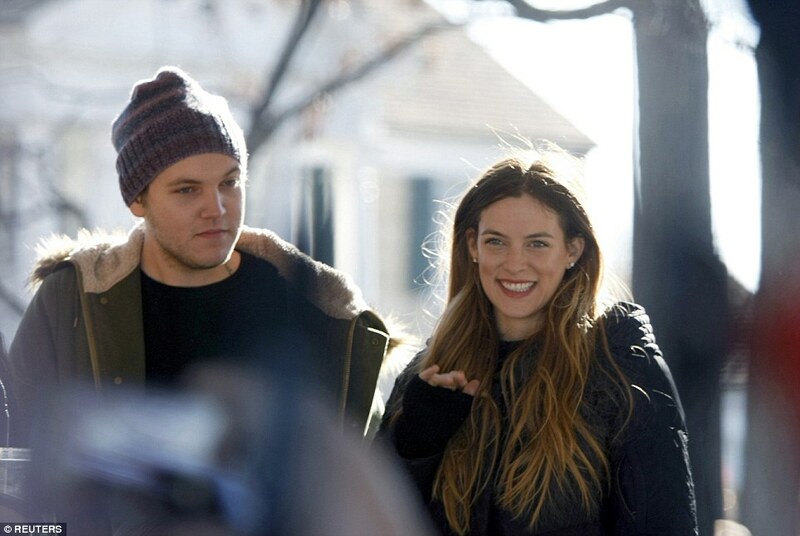 Riley Keough, his sister is also popular and like her grandmother is an actress. Benjamin blossoms in the light of his famous family members, without them he has no remarkable works to be famous for. Benjamin Keough doesn’t have an actual source of income that is known to the public. He is probably still under the care of his parents. He has also not been linked to any known inheritance, therefore, it is hard to determine his current net worth. Recent research reveals that his net worth is still under review and yet to be made public.